The previous week in MLB was about an infielder signing an extension, a team in the National League signs one of their young players to a multi-year extension, and a free agent lowers his asking price. 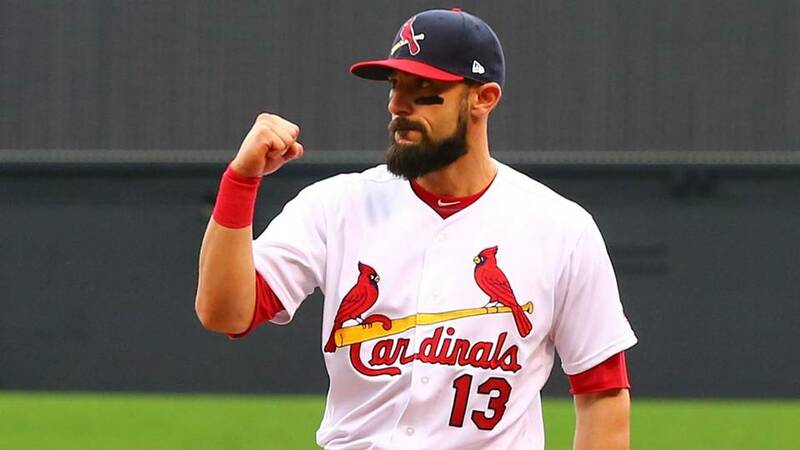 The St. Louis Cardinals have signed infielder Matt Carpenter to a two-year contract extension, which includes a vesting option for the 2022 season, per a team announcement earlier last week. Carpenter was set to become a free agent at the end of the 2019 season. The extension will pay Carpenter $39 million over the next two seasons. The vesting option is worth $18.5 million and will be picked up by the Cardinals if he makes at least 1,100 plate appearances over the first two years of the extension, per Mark Saxon of The Athletic. Matt Carpenter gets $39 million for ‘20 and ‘21 combined and another $18.5m for ‘22 if he gets 1,100 plate appearances over the first two years, per source. Carpenter was drafted by the Cardinals in the 13th round of the 2009 MLB Draft. In nine seasons with the Cardinals, he’s posted a .274 batting average and .846 OPS with 134 home runs. Carpenter has proven to be a very versatile player during his time with the Cardinals as the only positions he hasn’t played are at shortstop, catcher, and center field. The infielder is coming off a solid 2018 campaign as he compiled a .257 average and .897 OPS in 156 games with 42 doubles, 111 runs scored and 81 RBIs. The deal is excellent for the Cardinals and Carpenter, considering the club keeps a productive player under control for at least two more seasons, and Carpenter receives a substantial salary increase. The Atlanta Braves have agreed to a long-term extension with another one of their young players, as they’ve signed second baseman Ozzie Albies to a seven-year, $35 million contract extension, per a club announcement. The deal also includes club options for the 2026 and 2027 seasons. The options are worth $7 million each with $4 million buyouts, per Joel Sherman of the New York Post. Told two option years for Albies are $7M each with $4M buyouts. So if both picked up, #Braves get Albies for 9 years, $45M. The extension signed by Albies will go down as one of the most team-friendly contracts in the history of MLB. The Braves have Albies under control at a steep discount. He has the potential to be an elite player over the next several years. Albies was dynamic for the club last year, by posting a .261 batting average and .757 OPS in 158 games with 167 hits, 40 doubles, five triples, 24 home runs, 14 stolen bases, and 72 RBIs. The infielder has just scratched the surface of what he could become. The Braves last week sign outfielder Ronald Acuna Jr. to an eight-year, $100 million contract extension. The deal for Albies gives them payroll flexibility as they can spend money in other areas to improve the team. Free-agent reliever Craig Kimbrel is seeking a contract in the range of what other relievers Wade Davis and Zach Britton signed, per Ken Rosenthal of The Athletic. Davis inked a three-year, $52 million contract with the Colorado Rockies before the 2018 season and Britton signed a three-year, $39 million contract with the New York Yankees this past offseason. Kimbrel has dropped his asking price considerably as he was looking for a five-year, $100 million deal during the offseason. Kimbrel is a Hall-of-Fame closer, who has amassed 333 saves and converted over 90 percent of his save opportunities in nine seasons. However, teams are unwilling to commit that type of money of closers. The only club that’s come close to offering a closer that type of money would be the New York Yankees as they inked closer Aroldis Chapman to a five-year, $86 million contract before the 2017 season. Kimbrel will get signed by a club this season, but it won’t happen until after the draft in June. Kimbrel rejected the qualifying offer from the Boston Red Sox, and if a team signs him before June, they would have to forfeit a draft pick.